Poor planning by the General Services Administration’s Washington-area Public Buildings Service caused it to miss performance targets intended to “break even” on its funds from operations, a watchdog found. 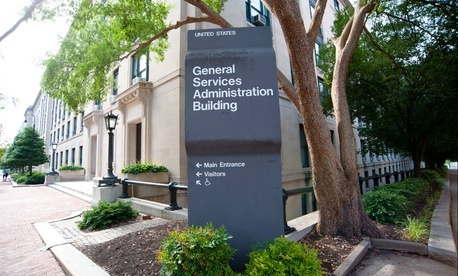 The result was a loss of $49 million in fiscal 2016 on a “wide range” of leases and a debt to overbilled agency tenants, GSA’s inspector general concluded in a report released on Thursday. The report reviewed 24 locations. The agencies affected included various components of the Health and Human Services Department in Rockville, Md., Homeland Security operations near Washington’s Union Station and various Defense Department offices in the Virginia suburbs Arlington and Alexandria. The Public Buildings Service for the National Capital Region “is not effectively managing its leased portfolio to ensure that it is fully recovering lease costs as required by PBS pricing policy,” wrote the watchdog’s team led by Carol Ochoa. “Based on our testing, we identified two major issues causing excessive variances in lease” funds from operations, the report said. One was an array of “deficiencies” in planning and execution of certain leases that led to “unnecessary vacant space,” and another was a set of “lease administration and accounting errors” that produced variances and inaccurate reporting. “Specifically, we found PBS [National Capital Region] overpaid lessors, did not reimburse tenant agencies for overbillings, and did not accurately record leasing actions in the financial system,” the report said. In a sample of 11 locations alone, PBS for the capital region lost $20.4 million in rent, real estate taxes and security charges “that could not be passed through to a tenant agency because the space was vacant,” the IG wrote. Vacant space was the chief reason the service missed its performance metric of 0-2 percent lease fund gain. The issues boiled down to five problems, among them PBS for the capital region's failure to take full advantage of a termination clause because it did not know that the tenant would be vacating leased space (the Food and Drug Administration). And it extended a lease for five years for an agency that was expecting to cease operations (the Recovery Accountability and Transparency Board at 1717 Pennsylvania Ave. NW). That defunct agency had its lease extended from April 9, 2014, to April 9, 2019, with no termination rights. “PBS NCR personnel were unable to explain the rationale for the five-year extension,” the report said. The GSA inspector general made six recommendations, among them that PBS “quantify potential losses to GSA due to vacant space when planning space consolidation projects, and incorporate this risk analysis into business decisions,” and that it reimburse tenant agencies for overpayments from the past five years. PBS managers agreed with all six, noting that the reimbursements will require internal coordination to reshuffle current-year operations funds.